Another “summer break” update, this time by the very talented Nina Boyce. This picture reminds me that, while our stories primarily focus on human interaction and adventures at school and at home, there’s so much beauty and wonder even in our own back yards. And through Albert, we get the chance to see things in a new light – things we see everyday – but with new found amazement and joy. We’ll be returning from “summer break” in early August, continuing the story of the Substitute Teacher from Planet X. 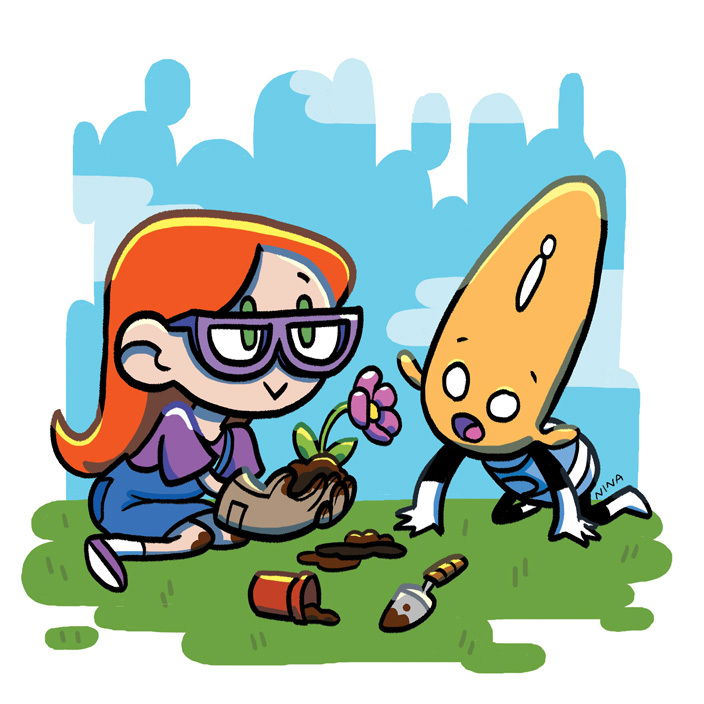 Until then, keep coming back every Wednesday and Friday for more fan art and guest strips!